When hardwood floors start to look worn out it’s time to refinish them. The first step in refinishing hardwood floors is to sand off the old finish by using a walk-behind sander that you can rent. You’ll also want to rent a handheld power edge sander to get into tight spots, along walls and around the doorways. These sanders have a dust bag system to minimize the dust that will be left behind during the sanding process. The walk-behind sander uses a large rotating drum that will remove the old finish evenly. You’ll need to make sure you use the right series of sandpaper grades and work the sander correctly. The three grades of sandpaper are coarse, medium and fine. Protect your eyes and ears and wear a mask to help cut down on the dust you inhale. After sanding is complete, you’ll need to fill in any nicks and gouges in the floor. Use wood putty and a broad knife to fill these spots in. When the putty has completely dried, you’ll need to sand these areas by hand until they are smooth. The next step is to remove all the dust from the floor, molding and wall. Start at the top and work down, otherwise you’ll have dust falling on the floor later when the new finish is drying. When the dust has all settled, you can vacuum using a standard shop vac with a dust filter. 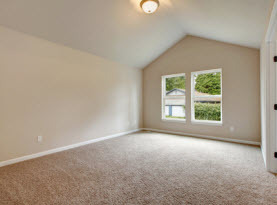 After you’ve vacuumed use a tack cloth to wipe down the entire surface of the floor. Tack cloth is a wax-impregnated piece of cheesecloth that picks up and holds dust residue. You’ll need more than one tack cloth. If you use one too long it won’t be able to hold as much dust. Different finishes will give different looks and different levels of durability. •	Polyurethane. Oil-based or water-based polyurethane comes in different lusters and give a plastic look. It can darken or even out yellow wood, but newer water-based polyurethane finishes don’t make wood look as dark anymore. This finish is great for high-traffic areas or areas that experience a lot of moisture. This finish makes repairs harder when fixing nicks or gouges. •	Varnish. Lusters range from glossy to matte and the finish will be more durable with a higher gloss. Varnish will darken as it ages and repairs are more easily made with this type of finish. •	Penetrating sealer. This is a great finish if you want to bring out the natural grain of your hardwood floors, but it will darken over time. It works great to protect your floors but is less durable than polyurethane or varnish. It’s also the easiest to repair if the floor gets damaged. 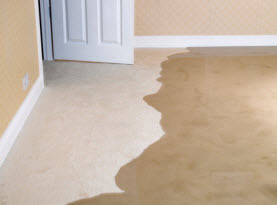 You’ll get the best results if you sand and refinish the floor the same day. 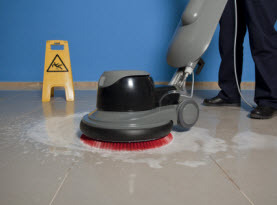 This will prevent the surface of the floor from absorbing moisture. Use a sheepskin applicator to apply the sealer you chose and use enough so the finish will be even. If you use too much, the extra sealer won’t soak into the wood and will pool on the surface. If left, it will leave unsightly spots. 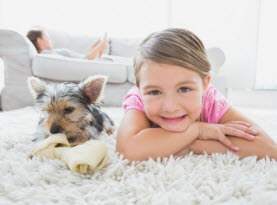 If refinishing your hardwood floors seems like a daunting task and you don’t wish to attempt it, call CA Carpet Cleaning Water Damage Clean Up to do it for you. Contact us today!